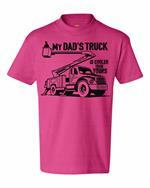 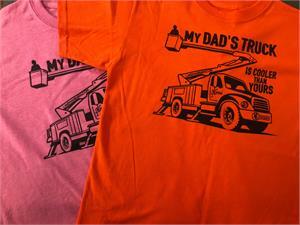 Does your little one love daddy's Truck? This is the perfect shirt for them then! youth XS-XL available. 100% Cotton Tagless youth Orange tee with front print in Black.